The Governor of Edo State, Mr. Godwin Obaseki, has said that no nation can mechanise its processes and systems without a large pool of people that have technical and vocational knowledge. 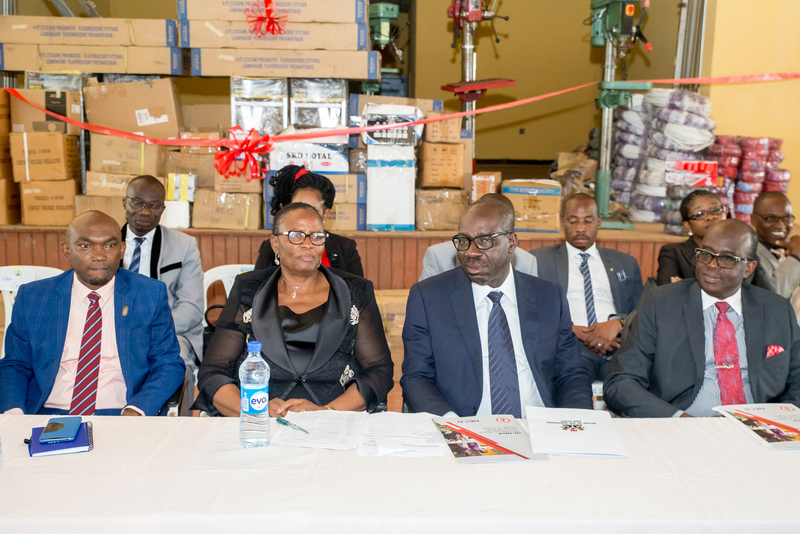 Obaseki said this while receiving training equipment and tools donated by the Industrial Training Fund (ITF) and Nigeria Employers Consultative Association (NECA) to Government Science and Technical College (GSTC) in Benin City on Tuesday. He frowned at the preference for non-vocational courses by the youth and stressed that Nigeria cannot attain development if more emphasis is placed on paper certificates alone. He emphasised that the focus of his administration with regard to education is basic and technical education, which will equip the youth for the current and future challenges. “In the developed countries, the workforce has more people who are technically trained and not people who went to universities to study non-technical and non-vocational courses. This administration believes in the acquisition of relevant skills because it is the first fundamental step to job creation and it will help reduce the huge deficit in the area of technical manpower,” he said. Obaseki explained that his administration has commenced rehabilitation work at GSTC with the construction of four new blocks of classrooms, the design of a light industrial park to produce between three to five megawatts of electricity for the location. “On completion of the ongoing reconstruction of this college, we will have an institution that will produce between two to five thousand well trained technicians yearly,” he assured. Earlier, the Director General of NECA Mr. Olusegun Oshinowo commended the Obaseki-led administration for the attention being given to vocational and technical education in the state. He said the biggest problem facing the country today is that of unemployment, and maintained that it is a major threat to the security of the nation. “Due to the high level of unemployment in the country, our organisation has to step out of the box to see what we can do with the government to tackle the challenge. Our idea is to see how we can get our children out of the streets and take them to the factory. For this to happen, we need technical and vocational education,” Oshinowo said. In his response, the principal of GSTC Mrs. Bose Imafidon thanked the Edo State government, ITF and NECA for the kind gesture and promised that the school will put the donated equipment to good use.